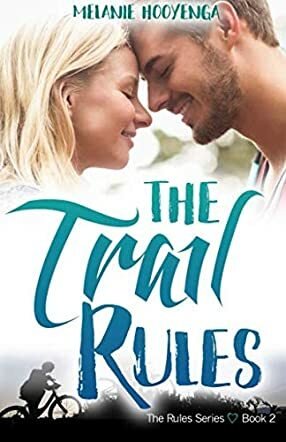 The Trail Rules is the second book in The Rules teen romance series by Melanie Hooyenga. Sixteen-year-old Mikayla “Mike” Westin has great friends and a supportive boyfriend, but lacks confidence following some serious social drama at school last year. During summer break, her boyfriend Evan trained Mike in the sport of trail biking and their romance flourished. Or did it? As Mike starts the eleventh grade, she’s under pressure from her parents to focus on academics, but the drama continues at school. Mike breaks up with Evan and begins riding with a new group of biking enthusiasts, including Mica, a senior at another school. Will matters improve for Mike at home, at school, and on the bike trail? And is a new romance in her future? In The Trail Rules, Hooyenga gives us an expertly-written, well-paced narrative and a fascinating and well-developed cast of teen and adult characters. On its surface, it’s a simple romance that incorporates high school social drama with personal growth through the physical, emotional, and mental challenge of a sport. Mike is a very likable teen who hasn’t yet found her own path or her inner courage. As she gains experience on the bike, she devises ten (plus one) “trail rules,” which also help her face the challenges of life. I especially enjoyed the inclusion of the Ethics class and teacher, and the sensitive way the strain between Mike and her parents is portrayed. Some readers (or their parents) may be concerned with the appropriateness of certain language or scenes, but that said, this is an extremely positive and engaging story told in a very beautiful way. Highly recommended.